We love paid traffic at TrustWorkz. It’s one of the best ways to quickly drive qualified leads to our customers. However, one of the best returns on investment will typically come from a search engine optimization (SEO) strategy. For local businesses, showing up for searches with local intent is essential to driving in store sales. What Are Local Search Engine Results? When someone searches for, “birthday parties in Germantown, MD”, Google knows to show the searcher with results that are relevant to the geographical area that they searched for in addition to hundreds of other factors. 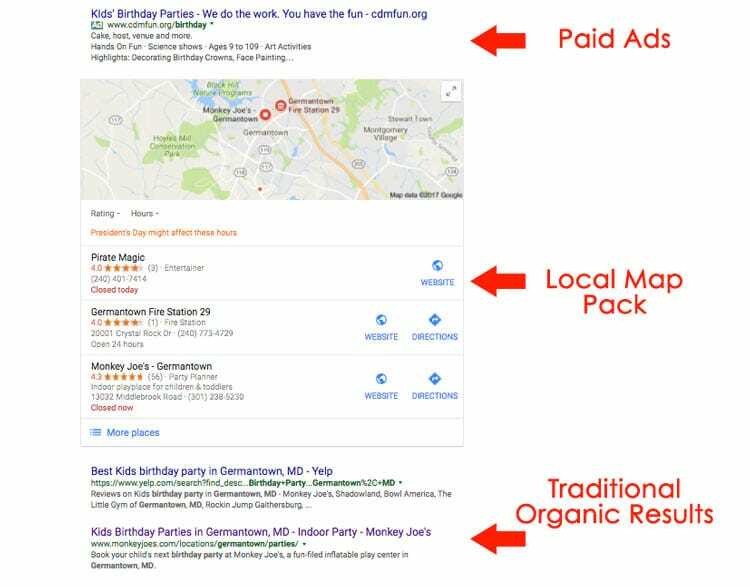 Excluding paid ads, you should be focusing on your company’s position in the local map pack and the traditional organic results through SEO. These two areas are extremely valuable, and can be the difference in just surviving or thriving with your local business. The two sets of algorithms factor hundreds of different signals to deliver the results you and I both enjoy today. Below are just a few things you can do to improve your results in Google for your local business. Claim your Google My Business listing, correct it, complete it 100%, and optimize it for the correct categories and accurate information. Find other relevant local listings (like your Facebook page, Yelp, Tripadvisor, Homeadvisor, etc), claim, correct, and optimize them too. Collect reviews from your customers, make sure they’re great, and keep them coming! Your website (or microsite for multi location businesses) should be optimized for search engines as well. 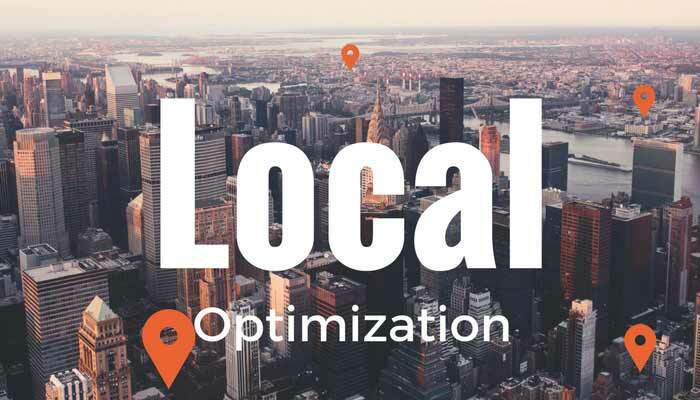 Hint: Optimize for your local community first, and Google second. Make sure that your website is mobile friendly (Google and Bing both prefer mobile responsive design). Optimize your website (go here for a head start). Create fresh content that helps your customers answer questions that they have about your services. Of course there are many more factors that weigh into how and why a local business ranks well in Google search engine results. These are just a few suggestions that will help your business significantly when it comes to standing out and earning high rankings in search engines. Learn more about how your business can improve by requesting a free audit.